Supercell has fulfilled their promise to keep Clash Royale up to date in 2019. So far, the game has received three balance updates this year and one more is on the way. By releasing multiple updates, Supercell has certainly succeeded in keeping the game interesting for its player base. 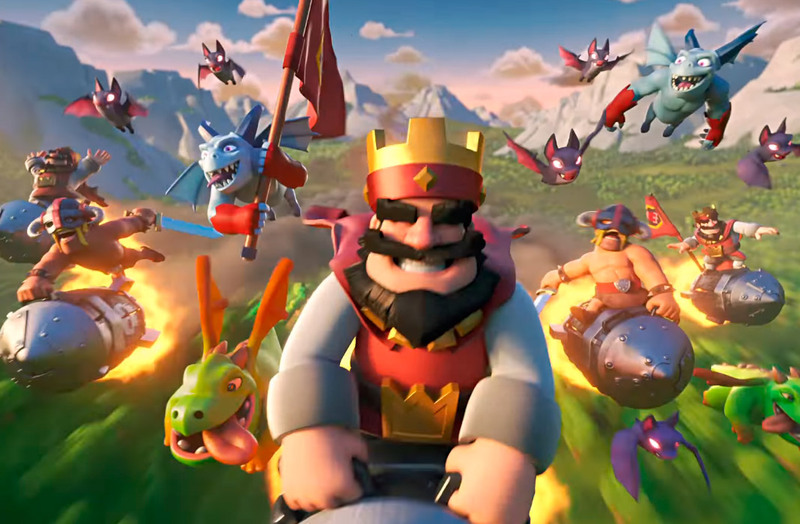 Clash Royale received its first balance update of the year on 7th January. According to Supercell’s plan, they only included rotation for some troops in this update. First update primarily focused on Magic Archer, Goblin Giant, Freeze Spell, Sparky and some others. We have organized the update information to make it simple for you. Heal Spell: Elixir cost decreased from 3 to 1. Healing per second is reduced by -63%. Spell duration was also decreased from 2.5 to 2. Magic Archer: First Attack of the Magic Archer is improved. He will perform the first attack faster now. Goblin Giant: Goblin Giant has received minor boost to its speed. While the spear goblins sitting on top of the Giant now will now have increased range. Golem: Golemites which appear after the Golem is destroyed now have less damaged push after death. Freeze: Spell will cause 65% damage to the towers. Sparky: Sparky have its range increased from 4.5 to 5. Beware of the lighting cart now. Battle Ram: Battle Ram Charge damage has been reduced by -11%. Barbarian Hut: Barbarian Hut has decreased hitpoints by -7%. Barbarian Barrel: Deployment time of Barbarian Barrel is decreased. Valkyrie: Valkyrie has received increased hit speed. Not only the update contained some rotation for the cards but it also included new arena, a new card (wall breaker) and two brand-new game modes. You can now play in Spooky Arena after you reach 3600 trophies. Although to raise the level of Legendary arena, it has been pushed up to 4000 trophies. This update was released on 7th February 2019. Musketeer: Musketeer damaged has been increased by 3%. Three Musketeers: Three Musketeers now cost full bar of elixir: 10. You better be careful while using this bad squad now. Freeze: Freeze spell damage has been reduced by 6%. Also, duration of the Freeze spell is also reduced to 0.4 secs. It was 0.5 secs previously. Cannon Cart: Hitting speed of Cannon cart has been improved. Knight: Knight has received a minor boost in hitpoints (2.5% to be exact). Dart Goblin: Attack speed of Dart Goblin is reduced. It is 0.65 now which was 0.7 previously. Clone: Cloned troops will now appear behind the original unit. We will post about upcoming updates as soon as Supercell release information about them. Stay tuned!